Do your kids love Berenstain Bears? 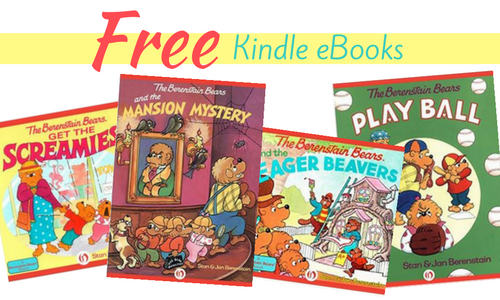 Right now you can get 19 FREE Berenstain Bears Kindle eBooks from Amazon! This will help for holiday road trips. Keep in mind that even if you don’t have a Kindle you can download free Kindle apps to read these eBooks on your computer or mobile devices. This offer can change at anytime so don’t miss your chance to get these FREE eBooks!